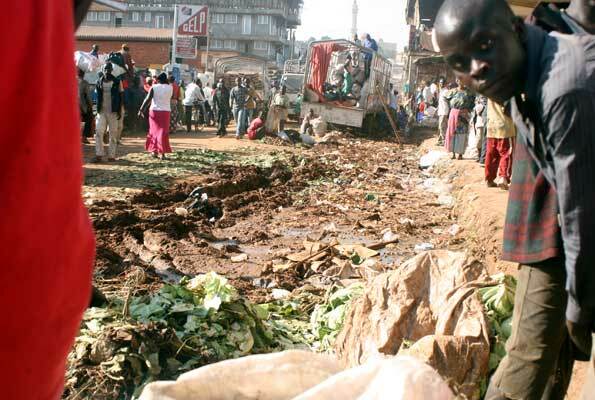 Kampala slum dwellers are becoming poorer than in previous years, making it hard for them to sustain basic needs, a new report has shown. 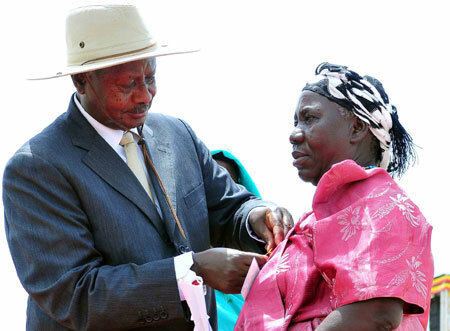 The report, “Living In Kampala Slum”, shows that dwellers’ income decreased by Shs32,464 in 2010, while the cost for basic needs basket increased by over 20 per cent in the same period. Ugandan women have steadily come of age, claiming a comfortable place at the high tables of governance, politics, business, sport and even the spiritual arena. New Vision explores a list of 50 such women, in no particular order. The scramble by early explorers like John Hanning Speke and James Augustus Grant to find the source of the River Nile and their triumphant tales retold in British newspapers continued to draw attention to the interior of Africa which, until then, had been regarded as the Dark Continent because little was known about it. 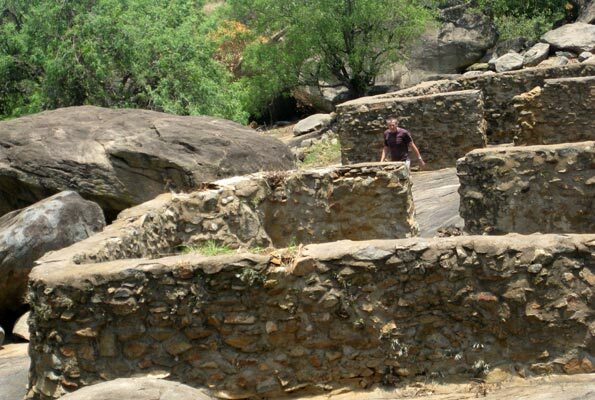 Fort Patiko in Gulu District that was built by Sir Samuel Baker in the 1870s. Two explorers who would follow suit, Henry Morton Stanley and Samuel White Baker, would discover that although the Dark Continent did not have the same levels of development as Europe and the coastal areas, there was method and a remarkable level of organised structures. L-R: Sabaddu, Kataruba, Rev. 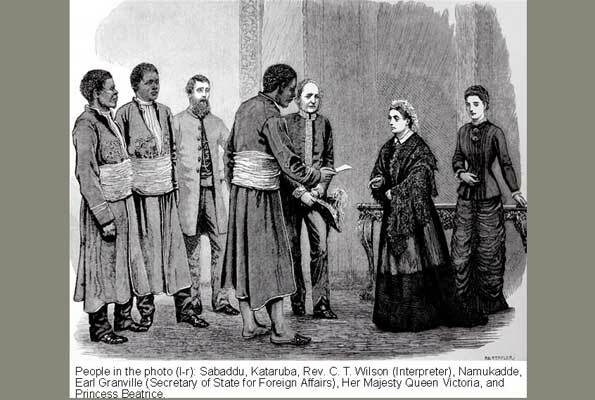 C. T. Wilson (Interpreter), Namukadde, Earl Granville (Secretary of State for Foreign Affairs) Her Majesty Queen Victoria and Princess Beatrice. COURTESY TABAMIRUKA/COPYRIGHT UNKNOWN. In June 1876, seven months after Kabaka Mutesa’s letter asking for friendship with the white man appeared in the London Daily Telegraph, the first set of Christian missionaries from England arrived in Zanzibar. The party of eight included Lt. Shergold Smith, Rev. C.T. Wilson, Mr T. O’Neil, Dr. John Smith, Alexander Murdoch Mackay as well as three artisans. The harsh conditions, including disease, immediately claimed the lives of one of the artisans and forced the other two to be sent back to England. The politician and father with one of his two wives and children. 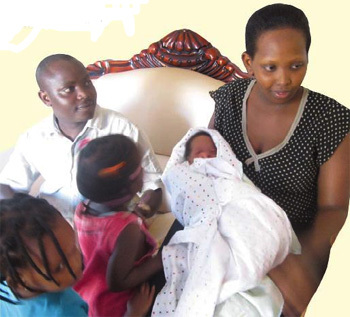 The Minister of State for Youth and member of Parliament for Mukono North, Ronald Kibuule, has two wives and four children. In an exclusive interview, the 27-year-old minister and his wives, Esther and Fortune, told Kizito-Musoke their story. When did you meet your wives? In 2007, while at Uganda Christain University, Mukono, I approached two girls at different times for a relationship. Fortunately, both of them accepted my request. I had to marry both, because I did not want to cheat on any of them. What inspired you to marry two wives at the same time?